Ten years after the end of WWI, Cobourg’s historic Victoria Hall Courtroom, modelled after London’s Old Bailey, was the scene of a sensational trial that has been called “the last battle of the Great War.” The case was a libel suit brought by Sir Arthur Currie, the general who had led the Canadian Corps to victory in 1918. The cause of his grievance was a front-page article in a Port Hope newspaper which claimed that Currie had needlessly wasted Canadian lives in the capture of Mons on the last day of the war. The trial placed Canada’s entire role in the Great War under a spotlight and kept the country riveted for weeks. 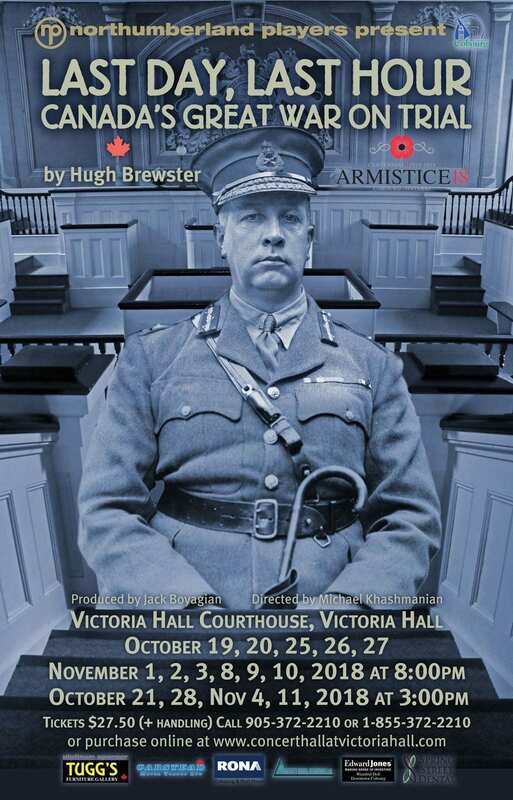 The Centrepiece – Last Day, Last Hour: Canada’s Great War On Trial, a new play by Hugh Brewster, recreates the charged atmosphere of this epic trial. Presented in the historic courtroom in which it all took place, the play is directed by Michael Khashmanian of the Beech Street Theatre and produced by the local theatre company the Northumberland Players. It will run from October 18 – November 11 (Thursdays through Sundays) in the Courtroom, Victoria Hall, 55 King St W., Cobourg. 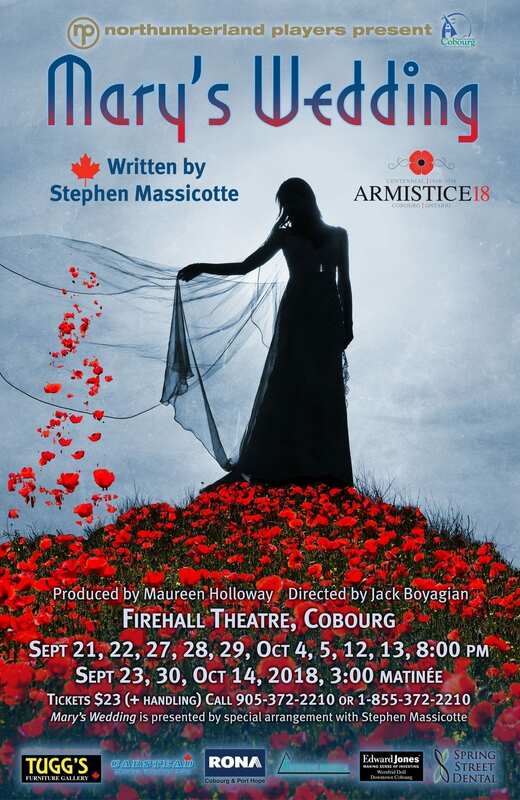 In addition to the premiere of Last Day, Last Hour, the Northumberland Players will present the powerful World War I drama Mary’s Wedding by Stephen Massicotte, which highlights the last great cavalry charge of the war. It will run from September 21 – October 14 (most Thursdays to Sundays) in the Firehall Theatre behind Victoria Hall. 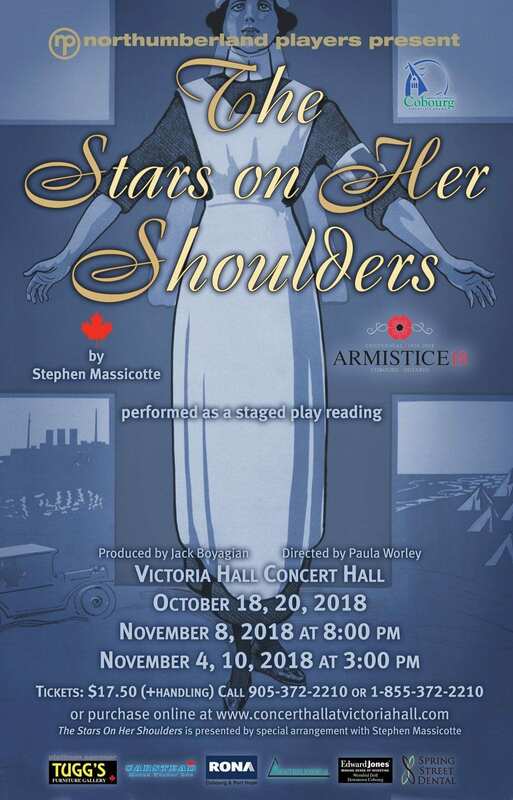 There will also be a staged reading of a new play about Canadian nurses in World War 1. The Stars on Her Shoulders by Stephen Massicotte. 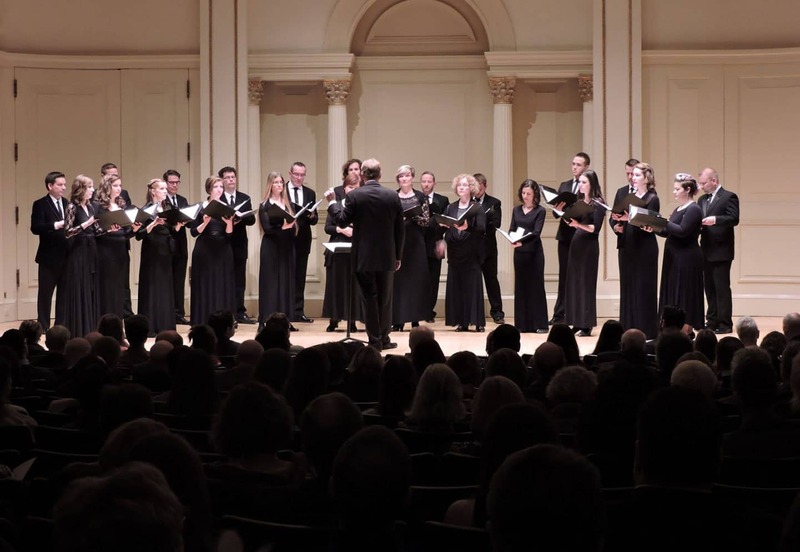 It will run October 18 and 20 as well as November 4, 8 and 10 in the Victoria Hall Concert Hall. 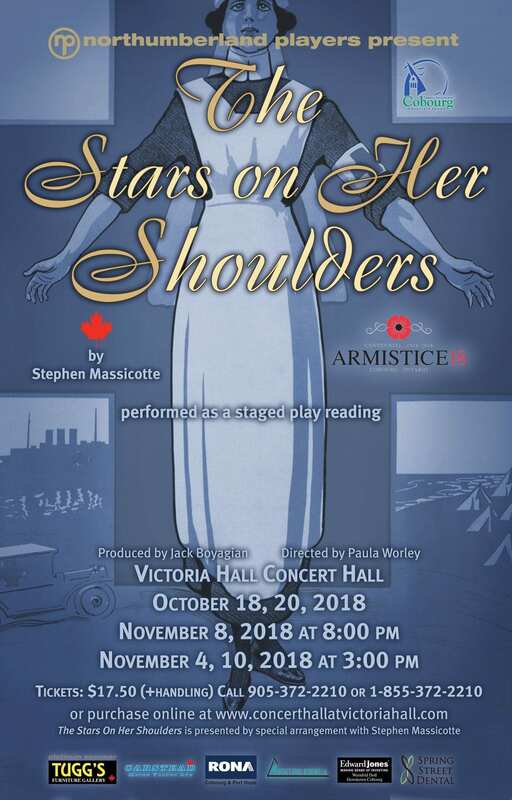 ARMISTICE: Cobourg’s Great War Remembered in Words, Images and Song, a commemorative multi-media concert created by historian and narrator, Hugh Brewster. This will be a pre-opening gala on Saturday, September 29, 2018, 8:00 p.m. at the Trinity United Church, 284 Division St., Cobourg, Ontario. Reception to follow. 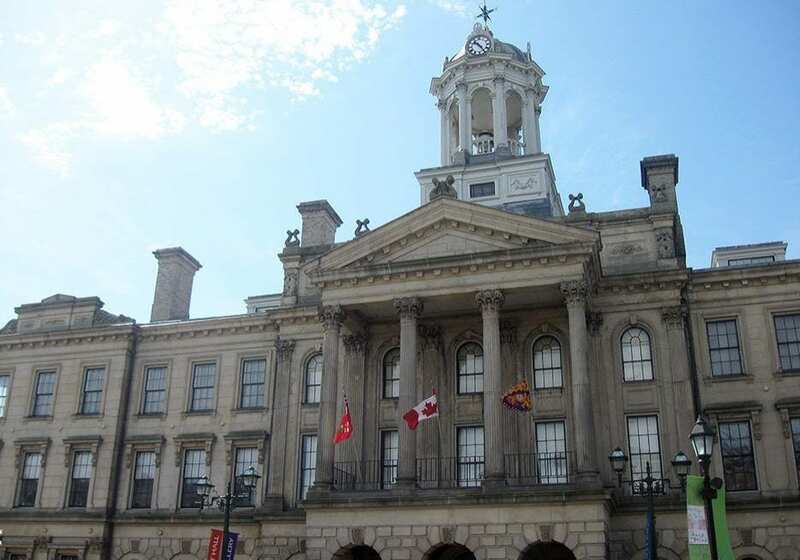 A series of talks by leading Canadian historians will be held in Victoria Hall’s Concert Hall, 55 King Street West, Cobourg, Ontario. October 14, 1 pm: Jack Granatstein is acclaimed as the dean of Canada’s war historians. The author of over 60 books and a former head of Canada’s War Museum, he will speak on Canada’s Hundred Days in 1918, the subject of his latest book, The Greatest Victory. Sponsored by the International Festival of Authors (IFOA). October 21, 1 pm: Tim Cook is a historian at Canada’s War Museum and the author of many authoritative yet highly readable accounts of Canadians under fire. 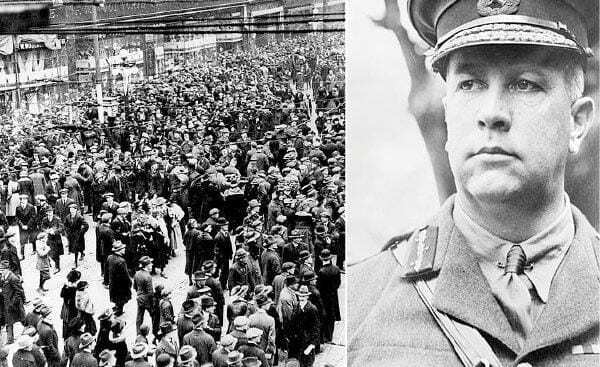 He will speak about the fraught relationship between Arthur Currie and Sam Hughes, the subject of his book, The Madman and the Butcher. November 4, 1 pm: Charlotte Gray has been hailed as Canada’s best-loved historical writer. The author of such bestsellers as Sisters in the Wilderness and The Promise of Canada, she is also a biographer of Nellie McClung, a pioneer of women’s suffrage who will feature in her talk about how Canadian women won the vote in 1918. Sponsored by the Vimy Foundation’s Centennial Speaker’s Series. 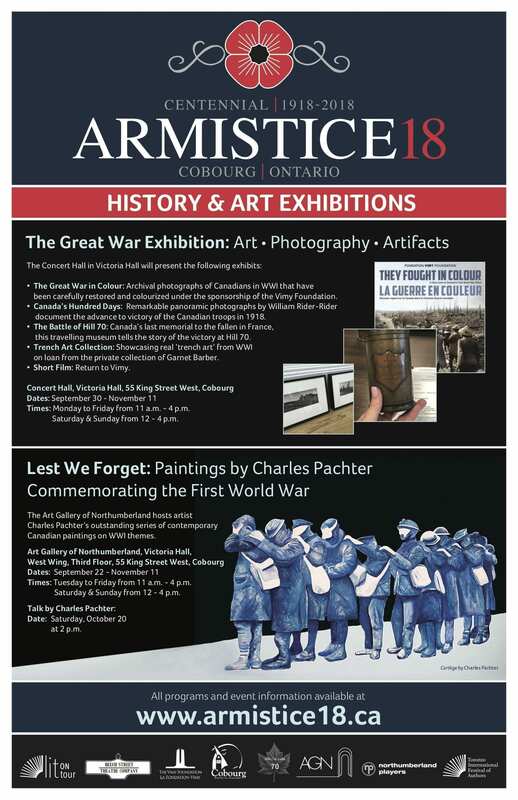 Throughout Armistice ’18, a multi-media exhibition on World War I will take place at Victoria Hall. Art Gallery of Northumberland will feature a WWI painting exhibition by contemporary Canadian artist Charles Pachter. September 22nd to November 11th. Artist Talk on October 20th at 2pm. An exhibition on WWI will be on display in Victoria Hall’s Concert Hall, including The Great War in Colour photographs, an exhibition, book and documentary sponsored by the Vimy Foundation. This will be a Timeline of WWI that will also include information on local veterans, Arthur Currie, the Hundred Days and the capture of Mons and ending with Last Day, Last Hour.